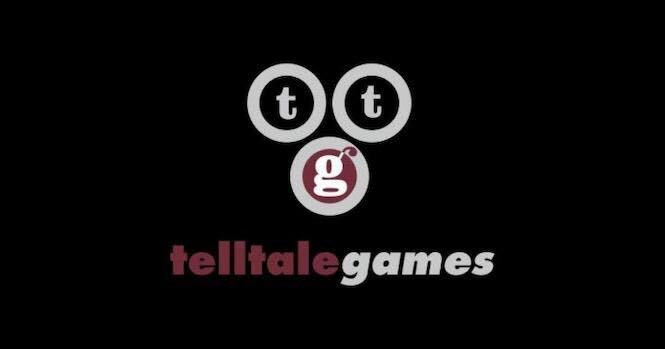 The gaming company TellTale started up in October of 2004, and nearly 14 years later, they shut down. But why? Were they not making good sales? Were they in the middle of a huge controversy? Did the employees stop caring? Well, here’s where you find out. TellTale started off small, and it wasn’t until a crisp April day in 2012 that TellTale truly got its start with their game, The Walking Dead. The first season of their game boasted five episodes, and by November it was all complete. It received huge praise, winning over eighty awards. It topped the sales chart for Xbox, and when I say pretty much everyone played it, I mean it. The Walking Dead started an era. An era of choice-driven games. In TellTale’s series, you, the player, can choose what to say and how to act. You are in charge of your relationships with others, who dies, who lives, and how well your group survives. But is that true? TellTale tells the player in the beginning “Your choices matter,” but is that a lie? Sadly, pretty much. Sure, you have choices, you can make someone hate you, and you can even sacrifice someone to save another. But it doesn’t matter. In the game you have to choose between two people to save. Doug and Carly. You would think that whoever you save would change the game. That these two characters will start a new storyline, and the game will change depending on who lives, and who dies. But no matter you save, they die soon later anyway, leaving the game unchanged. It creates an illusion of choice. Sure, if TellTale’s games were only one of a few choice-based games then maybe nobody would have minded. The problem is that The Walking Dead became so popular that game companies realized they could make massive profit from those types of games. And why play a game that tricks you into believing that your choices matter when you can play a game where they actually do matter? A good comparison is between TellTale’s The Walking Dead, and Quantic Dream‘s Detroit: Become Human. In the latter game, you can see a map at the end of every episode or section you play. You can see what choices you made, and the different branches of choices that you didn’t. There are tons of endings and small details that differ depending on what you, the player, chose. So really, TellTale started an era in the gaming world, but it was their eventual downfall. The games being created to capitalize on the popularity of that genre were better than the one that started it all. But I’m sure you’re thinking “That can’t be the only reason! Just because their games didn’t have real choices!” And you’re right. So let’s look at the next reason why TellTale couldn’t keep afloat. Employees were generally unhappy. Many worked long hours, and the management was toxic. There was barely any organization. Nobody really kept track of what was going on. The management stopped interacting with their staff, and that meant less morale. As TellTale got more popular, the more they made games. Soon they started working on multiple games at once. Instead of choosing developers to stick to one game, they rotated developers. This made the creation process to be more sloppy, and many workers didn’t understand this decision. There wasn’t even any proper schedule. Rewrites and improvoments of the game were asked very last minute. Employees say that it was a constant barrage of work with no break, six day work weeks, with about 18 hours for each of those days. New developers couldn’t handle it, and the older ones were not putting in all their effort. Eventually, TellTale couldn’t handle the stress. It collapsed under its own foundation. Over 200 workers were laid off without severance, many took to Twitter to say not to work extreme overtime for a company that, in the end, will not care about you. Many other game companies told these employees that they could always come and work them. At least there’s a silver lining to the storm clouds. It is unknown if TellTale will continue the final season of The Walking Dead. The episodes are set to release in November and December, and their MineCraft Netflix series will be finished.